Book review – Joanna Nadin “The Queen of Bloody Everything” #amreading #QueenOfBloodyEverything #NetGalley	Good cholesterol news! Just a quick hello as nothing finished to review just yet, or on the horizon as promising to be finished! I did finish Jaron Lanier’s “Dawn of the New Everything” which was a fascinating book on the development of Virtual Reality which I have read and submitted my review for Shiny New Books – I’ll let you know when that’s out. I had to have a hiatus on that one while on holiday last week as I took slimmer (or e-) books that could be left at the holiday cottage, but got it finished at the weekend. Next up for review for Shiny is this lovely: a comprehensive review of the lives of the suffragettes, of course published to coincide with the centenary of some women getting the vote for the first time. It’s a lovely substantial book I’m really going to enjoy getting into, although I was a bit flummoxed when SUCH a huge parcel arrived. Thank you Bloomsbury Books for that one! I managed to only buy ONE book on holiday as I didn’t really go through the charity shops so much. 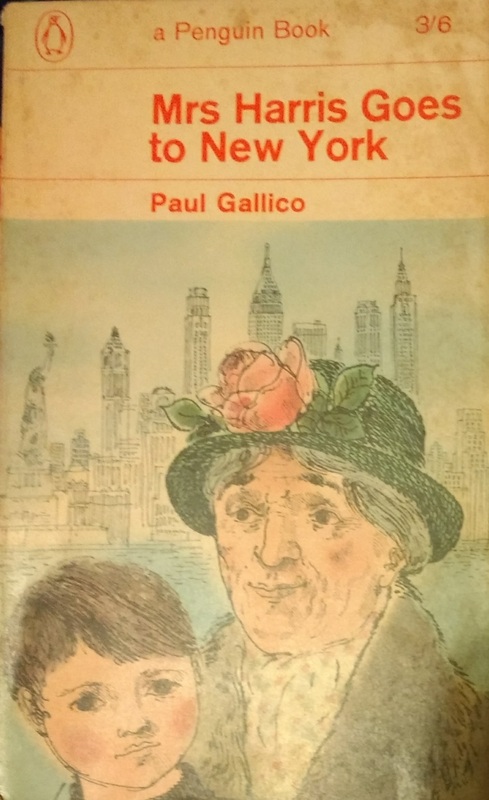 But I couldn’t resist popping into lovely Newlyn Books, in Penzance (see a photo of the shop on my post from my visit in 2016), where I found this sweet copy of “Mrs Harris Goes to New York” by Paul Gallico. I loved “Mrs ‘Arris Goes to Paris” so this had to be snapped up. Nothing has been requested from NetGalley recently – aren’t I good! I’m up to an 82% review rate again after my last review – phew! I’m currently reading David Goldblatt’s “The Games” again (after a pause for Shiny-ness) and I’m getting up to the 60s now so almost to the ones I remember. Quite timely as the Winter Olympics start. I was reading Barbara Kingsolver’s “Animal, Vegetable, Mineral” but the type is so small and my new glasses should come soon, so I’m putting that aside until I can see it. Next up will be Iris Murdoch’s “The Bell” for my #IMReadalong – I can’t wait to get that started, probably at the weekend. Any booky news where you are? Hmm, Paul Gallico. Have not heard about/thought of him for a long time. I wonder if he’d be a good author for my (formerly) Trollopean book club. Once we’d finished all of Trollope we didn’t really know where to go…..
Oh – how about Mrs Oliphant (OK, that’s who I want to do if I ever finish Trollope). I and friends / groups have also done Hardy (very, very rewarding), Iris Murdoch (doing it again at the moment), Barbara Pym, Elizabeth Taylor and Virginia Woolf. Happy reading, whatever you decide! Mrs. O a good idea—we in fact read “The Chronicles of Carlingford” a couple years ago. I just looked at her Wikipedia entry and was surprised to see how many books she’d written. Am thinking many of them may be rather difficult to find…..but of course don’t know for sure. Anyway, I am thinking of suggesting trying an Iris Murdoch and then maybe, as a fun thing, a Mrs. ‘Arris. Some of our members have become rather elderly (our oldest is 99!) and as time goes by people seem to want to read lighter stuff…..
Goodness me, good for her! I think Mrs O would be nice, if you all liked Trollope, but I will be a bit envious. I’ve only read the Paris one so far but I did love that! 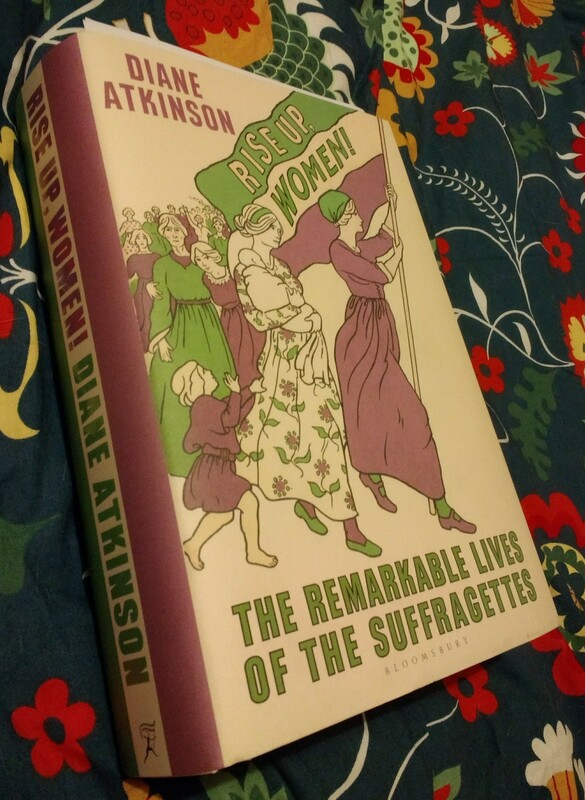 That suffragette book looks excellent, look forward to your review. It does, although slightly daunting in the size department! It’s so cute, isn’t it! I saw another copy in a charity shop but with a less lovely cover, so am glad I resisted that one! Ha, yes, I hear you/ I have all of Hardy and Austen on my Kindle just in case, though, which helps! I have read the 1930s MRS ARRIS books by CLIFFORD B POULTNEY. Was Paul Gallico inspired to write 4 books about the cockney charwoman from these? I’m afraid I have no idea on that and a quick search didn’t find anything, sorry.